After what has been a very tough 10 weeks for Yeti Racing UK rider Scott Beaumont, we are very excited to announce that Scott will return to racing this coming weekend at 4X ProTour round 1 at Winterberg, Germany. 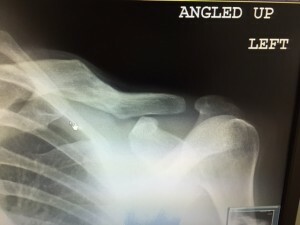 The initial injury – a type 2 separated shoulder, was very severe and continues to be a problem for Scott in every day life, let alone racing a bike. What has really caused problems is that, the rest and recovery time has also brought to the fore another injury that Scott was carrying that we were unaware of. A prolapse L5 and L4 disc in Scott’s back has been pressing on the S1 nerve that runs down Scott’s left leg which has been giving Scott permanent pins and needles in his left leg. It is also very severe and continues to be a problem with ongoing treatment for the foreseeable future. 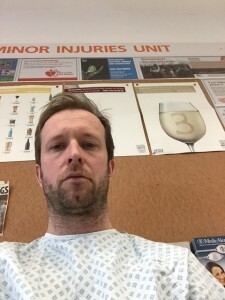 In the last 10 weeks, Scott has visited 7 different hospitals, had over 20 appointments, seen 10 different specialists, had MRI’s, accupuncture, osteopathy and several rounds of physiotherapy! However…… Even at this stage the news is not all good. Three doctors that Scott has seen have advised that racing at this stage of the recovery process is not recomended. However, one of Scott’s Doctors has said that if he can stand the pain, then racing is an option. I’m sure you can all guess which Doctor Scott is listening to……. Scott is aware that racing ‘could’ lead to further damage, but it is a risk he is willing to take. So on Thursday, we are heading out to Winterberg to get the 2015 4X ProTour campaign started. Scott will participate in the practice session on Friday and we will assess throughout the weekend. His current level of fitness and ability on the bike is certainly not going to be 100% but with cabin fever well and truly set in at the moment, Scott is determined to give it a go this weekend in Winterberg. Finally. We want to thank all the team sponsors for being so understanding at this time. Scott has only ever sat out any part of a race season back in 2001 when he had a fracture disslocation of his left ankle. Injuries thankfully are few and far between for Scott but on this occasion all of our team sponsors have been extremely supportive and we thank you all for that.